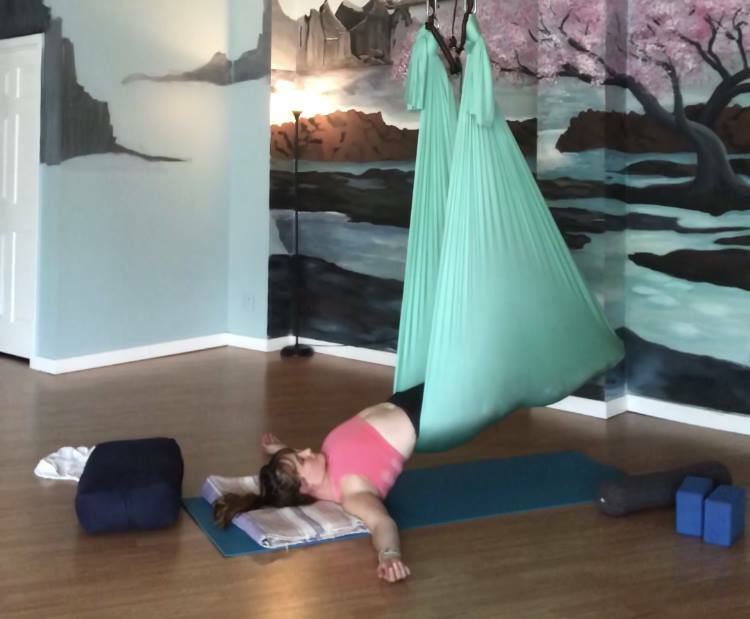 Molly will lead students through a Aerial Yin Yoga class and close class with a guided meditation using Yoga Nidra. Students will use a variety of props to settle into the postures with the Aerial Swing. Unlike traditional Aerial classes, the swings will be approximately 10-12 inches from the ground. This practice focuses in on the connective tissue, reduces effort through supported postures, and restores the body. Experience the value of stillness, support, and awareness through the use of the aerial swing. Enjoy the floating sensation and the decompression the support of the Aerial swing provides in a relaxing and restorative class. FLIP YOUR DOG YOGA CENTER Providing Yoga for Beginners to Hot Yoga Classes for power yoga lovers.